the location whas nearby beach, shopping, museums and a good lokal atmosphere. Love it. Great location for the beach and gothic quarter. Had a great stay thanks! Great location. Fully equipt flat. Ich würde immer wieder in das Appartement dieses Vermieters gehen. Situated in the seaside village of Barceloneta, this one bedroom apartment in Barcelona, located just steps from the beach is a wonderful choice for those heading to the Catalan capital for a break! Whether you wish to make the most of the magical Mediterranean waters or choose to explore the historical downtown, choosing La Barceloneta as your base will make discovering Gaudís city a breeze! 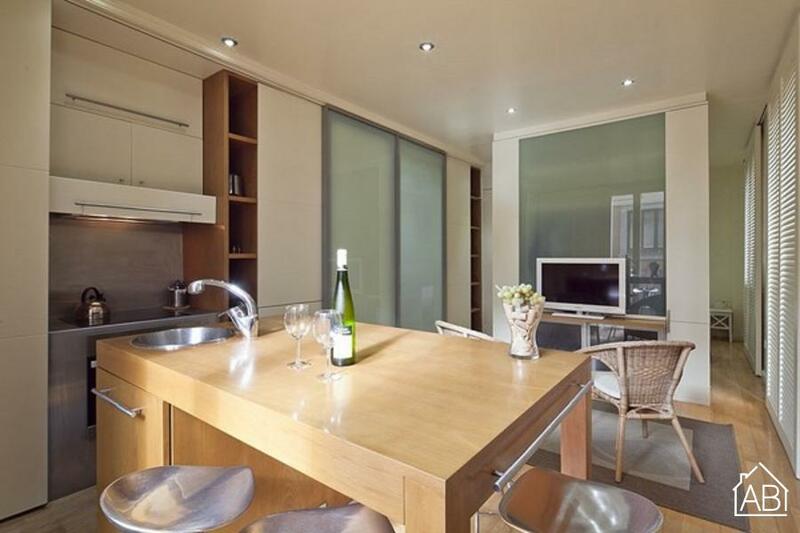 Able to accommodate up to two people, this charming Barcelona apartment is ideal for couples on a romantic getaway, or those in the Catalan capital on business. The bedroom is furnished with a comfy double bed. Take advantage of the well equipped kitchen as you prepare your favorite dishes or kick back as a TV with Satellite is also available. For those in search of a warm and welcoming nook, this lovely seaside apartment in Barcelona is a great choice, any time of the year! THIS APARTMENT HAS A TOURIST RENTAL LICENCE.